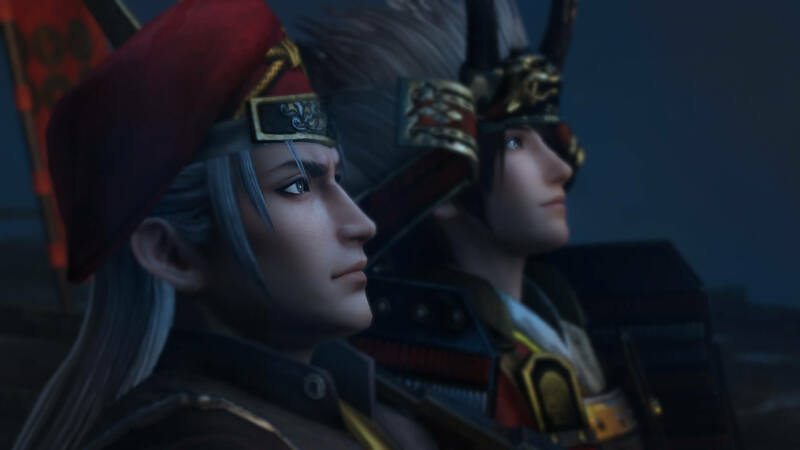 A couple months ago, Koei Tecmo announced that SAMURAI WARRIORS: Spirit of Sanada would be released in May for PC and PlayStation 4. We’ve gotten in touch with the Omega Force studio to learn more about this new installment in the long-standing franchise. Check out our interview with Producer Osamu Mieda below. Spirit of Sanada is the first title in the Samurai Warriors series to receive its own subtitle. Can you tell us why the name is so significant, rather than just calling it Samurai Warriors 5? Unlike previous entries in the SAMURAI WARRIORS series, this game places the spotlight primarily on a single character, so we gave it a title that directly conveys that. However, the entire development team worked on the game with the passion of creating the next numbered installment of the series. When does Spirit of Sanada fall in the Sengoku Era timeline? The protagonist of the game is Yukimura Sanada. As the game starts with Yukimura’s father, Masayuki’s first battle through to Yukimura’s final battle in the Osaka Summer Campaign, it covers the years 1561 – 1614. This is the first Warriors title to focus primarily on one character. Does this mean the entire story will be told through Yukimura Sanada’s view? The first part of the story will be from the viewpoint of Yukimura’s father, Masayuki. Once Yukimura grows older, the story is largely told from Yukimura’s viewpoint, but there are scenes that are shown from the viewpoint of new characters; ChaCha and Sasuke. One of the new features you’re implementing into Spirit of Sanada is long term battles. Can you tell us a little more about these and how they might differ from the traditional missions? Battles in previous games were shown on a single battlefield, but in this game we show the battles take place over several battlefields which allowed us to include more detailed episodes. Actions that take place on one battlefield can also affect what happens on the next, adding an element of immersion that can only take place through continued battles. The Sanada family is certainly the focus this time around, but will players be able to choose other historical characters to play as? When will Uesugi Kagetora be a playable officer in the series? Players can choose from characters who participated in the same battles as the Sanada family, and experience battles that took place alongside them as well as select from the officers that took part. In addition, battles that have been cleared can be re-played using any of the officers that have appeared in previous SAMURAI WARRIORS games. As for Kagetora… that’s a good question! If we receive many requests to add him, then it may happen. Samurai Warriors: Spirit of Sanada was released on the Playstation Vita in Japan but doesn’t appear to be making its way to Europe and North America. Was this due to the development of a PC version? We took into account the different playing preferences between Japan and the west (Europe and North America), and after careful consideration decided to concentrate on our strongest platforms to deliver the best possible SAMURAI WARRIORS experience. Are there any major improvements to the PC version that you can share with us? The game content itself is the same, but a high-performance graphics card will allow for higher resolution gameplay and the framerate will become stable at higher levels. What resolution and frame rate will Spirit of Sanada support across the PlayStation 4 and PC? Maximum resolution: PC and PS4 Pro are 3840 x 2160 and PS4 is 1920 x 1080. Maximum framerate: Both are 60 FPS variable framerate. Will PlayStation 4 Pro owners get any noticeable performance gains over the standard Playstation 4 version? PS4 Pro owners can play the game at 4K resolution (3840 x 2160). If the game is played at lower than 1080p resolution, the game can be played at a more stable framerate than the standard PS4. Will Omega Force be making any more mech-focused Musou titles in the foreseeable future? We do not have any information at this time, but we plan on continuing to create various types of games. Please look forward to more titles from Omega Force!